Breaking NEWS om næste symposium, der handler om refluks!! Det bliver pædiatrisk tandlæge Dr. Lawrence Kotlow, der har behandlet flere tusinde børn med stramt tungebånd – hvor en stor del af dem har haft reflux. Vi er i gang med at finde de andre indlægsholdere – men har ikke fuldt program endnu, så skulle du sidde med navnet på en oplagt indlægsholder (dansk eller international) eller er du selv ekspert på området og har noget vigtigt at byde ind med, så skriv endelig til os på info@lebahn.dk! Der kommer mere info om undervisningsdagen snart. Physicians are often asked to diagnose and treat infants with clinical signs of gastroesophageal reflux (GER) symptoms and in extreme cases gastroesophageal reflux disease (GERD). Some infants are left to work out their pain, regurgitation and vomiting until they outgrow the symptoms while others may undergo expensive, invasive endoscopic procedures in the operating room under general anesthesia. Initial treatment is often for infants to be placed on prescription adult acid reflux medications, which have limited benefits. Drugs prescribed include:H-2 blockers such as ranitidine (Zantac), a proton pump inhibitor such as omeprazole (Prilosec) or lansoprazole (Prevacid). TOTS may cause aerophagia, a condition where the infant’s latch onto the mother’s breast or bottle allows the infant to swallow excessive amounts of air into the stomach during feeding. This aerophagia may be responsible for symptoms mimicking GER or GERD. When these infants are examined for symptoms of GER the differential diagnosis of tethered oral tissues (TOTS) may not be addressed. Tethered oral tissues may involve ankyloglossia (tongue-tied), maxillary and /or mandibular frenum lip-ties and in some instances buccal frenum ties. These tethered oral tissues (TOTS) prevent the infant from achieving a good seal onto the breast and or bottle with the resulting ingestion of excessive amounts of air. Dr. Lawrence Kotlow is a 1972 graduate of SUNY Buffalo Dental School, and completed his pediatric dental residency at the Children’s Hospital in Cincinnati, Ohio between 1972-1974. Since 1974 he has had a private practice in Albany, New York. He became Board Certified in Pediatric dentistry in 1980, and is a Fellow in the American Board of Pediatric Dentistry. As a member of the ALD, Dr. Kotlow served on the Board of Directors, achieved Advanced Proficiency in Erbium lasers as well as Standard Proficiency in the use of diodes CO2 @9300nm and ND: YAG lasers and ALD Mastership status. He was the 2014 recipient of the Leon Goldman award for excellence from the ALD. He has lectured at almost every meeting of the Academy, speaking on topics from How to Prepare PowerPoint and & Keynote Presentations, to a wide range of clinical applications using lasers on infants and children, and establishing the ALD one-day pediatric program at the ALD annual session. He has contributed to textbook chapters on the use and benefits soft tissue lasers, hard tissue lasers and Photobiomodulating lasers in Pediatric Dentistry in Dental Clinics of North America 2004, The Atlas of Laser Dentistry and in Principles and Practice of Laser Dentistry. 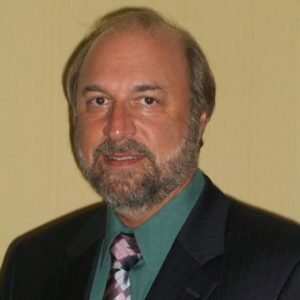 He has had articles published on laser dentistry in the Academy of Laser Dentistry Journal, European Archives of Pediatric Dentistry, Journal of Human Lactation, Journal of Clinical Lactation, Journal of Orthodontics, Journal of General Dentistry, Journal of the Canadian Dental Association, and many others.